Mead, it warms the heart and the soul. It also warms those limbs that have gone numb from the cold. It’s great on the dinner table, or to pair with a slice of pumpkin pie, and yes, you can even add it to some of your favorite holiday beverages. Mead is a great gift that Santa will definitely be jealous he didn’t think of… if these didn’t get you excited for the joy of mead, here are 50 more reasons to celebrate with mead this holiday season! After taking the perfect fall/winter photo. You got a great photo while your friend hilariously slipped on the ice. Your friend just took an embarrassing photo of you after you slipped on ice. You need something to go with that secret stash of discount Halloween candy you’re hiding from the kids. When you’re stuck inside at work and you have NO IDEA what it’s like out. Oh %$#*, it’s Christmas eve! Successful cleaning the gutters without falling! You fell of the ladder cleaning your gutters. You just got your hospital bill from falling off the ladder cleaning your gutters. You’ve got a sweet fire going in the fireplace with your Boo. Watching your kids jump in the leaves. What else are you going to do with that extra hour of daylight savings? Nothing pairs better with stuffing. Just to warm up a cold night. You don’t want to deal with those slimey Jack-o-Lanterns that are still on the porch. Your nephew came over to help you figure out how to work Hulu and Netflix. Your crazy uncle needed help with his Netflix AGAIN! You just picked up a good book. You just picked up 10 good books. You looked at your bookshelf and saw all the books you still have to read. Meh.. you’d rather see the movie. ...but there’s no way you’d admit that. You can’t wait to build a snowman! Your dog refuses to go out in the cold. You cannot for the life of you find a matching pair of gloves!!! You get to see your whole family this holiday!! 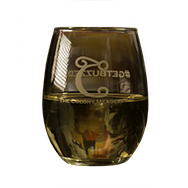 Whatever your reason for enjoying mead, come on down and pick up a bottle or three, sample some favorites old and new, and have a wonderful holiday season! Mark your calendar because The Colony Meadery will be at The 2016 Pittston Tomato Festival! The festival will run Thursday August 18th through Sunday, August 21st, 2016. But what does the tomato fest entail you may ask? Well, that’s a great question because it’s going to be a blast. We’ll be here serving up all sorts of mead deliciousness. You see, mead goes with pretty much everything, and tomato based foods are definitely no exception. We are very excited to join in such a fun event. But don’t just be excited for us, because the festival has so much more to offer. And there’s a tomato fight on Saturday the 20th! What’s that?! You heard right. 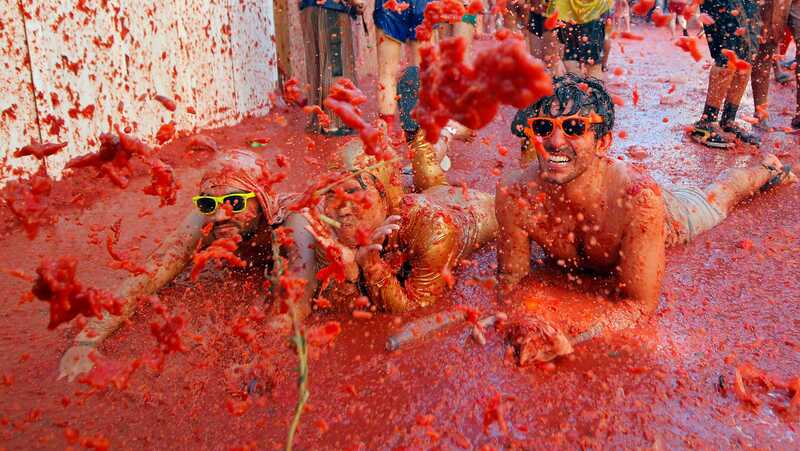 It costs $10 to enter, where you’ll be hooked up with some protective goggles in order to partake in the tomatoey fun. What’s better than chucking squishy, slimy, and acidic veggies that are full of vitamin C at your fellow human beings? Not much. So if you LOVE all things tomato, (the vegetable that hipsters will argue is technically a fruit) come on down, and don’t forget to bring your antacids. Read more about the festival here. Sip on some mead with these practical, and perhaps, impractical suggestions.